Translation: If your nation’s internet policies are out of step with the rest of the World Wide Web, it’s going to be almost impossible to enforce them. As the latest article in Business Week confirms, the UIGE Act will be almost unenforceable. That’s the assessment from a new report by the Financial Action Task Force (FATF), an international organization based in France that develops recommendations for combating money laundering and terrorism financing. Like China trying to stop Google or Eliot Ness trying to uphold prohibition, people will always find a way to what they want. What a waste of time, for Congress and the American people. The UIGE Act will be a bad memory in 3 years when we finally kill it. But all the effort, money and time put in to right this wrong could have been used to actually regulate and develop the online industry. It could have been used to create technology, expertise and well-paying careers – to lead the way through this growing international market. But no, because of the special-interest politicians who un-democratically pushed it through when no one was looking, the UIGE Act will cause needless harm to the American people and damage the reputation of one of this country’s greatest traditions – Poker. Bill Frist, Jim Leach and Jon Kyl – you will be held accountable for your corruptive practices and un-American acts. Cybercriminals looking to launder money or finance nefarious deeds via the Internet have a host of tools at their disposal. And they’ll be able to ply those means with greater skill if governments don’t step up policing efforts. That’s the warning in a new report by the Financial Action Task Force (FATF), an international organization based in France that develops recommendations for combating money laundering and terrorism financing. The yearlong study, just published on the group’s Web site, highlights the risks of criminal exploitation of “new payment methods,” many of which have taken hold on the Internet in recent years. Just what are these methods? Among them are so-called e-purses, cards that let users store funds via memory chips, and Internet payment services that operate outside traditional banks or credit card companies. The biggest online payment brokers are eBay’s (EBAY) PayPal and Neteller (NTLRF), a company based in the Isle of Man that is publicly traded on the London stock exchange. PayPal processed $9.1 billion in transactions in the last quarter alone. Neteller processed $7.3 billion in 2005. Online payment services are useful to consumers who want to buy and sell over the Internet but are wary about providing sensitive financial information to online vendors. Rather than give an unproven Internet store a primary bank account number, for example, a user can transfer funds to the vendor through an online account. Such accounts can be opened with much less money – some accounts do not have a minimum – and therefore pose less risk. They also benefit users who lack the credit to open credit cards or funds to open a bank account. But e-wallets and Internet payments are of particular concern to the FATF because they often let users anonymously open accounts online. Typically, all that is needed is a credit card, bank account number, money wire service, or – in some especially worrisome cases – a long-distance calling card. Credit card and bank accounts are easier to trace to individuals and have more identity verification requirements than phone cards, which can be bought anonymously with cash. Once flush with funds, the accounts can be used to make purchases without leaving a paper trail to the user the way a credit card or check would. Internet payment services are an additional security risk because, unlike e-purses, their presence on the Web has increased during the past several years. Of the FATF’s 37 member countries, including the U.S., roughly 40% have such Internet payment services registered in their jurisdictions (see BusinessWeek.com, 7/12/06 “Betting Against Online Gambling”). That’s not including countries such as Costa Rica, which have registered Internet payment services but are known to have less stringent banking regulations than many FATF members. Online payments have gotten a big boost from the Internet gambling industry. The $12 billion-a-year industry has relied on such services, especially since 2001, when many U.S. credit card companies began refusing to process Internet gambling transactions for fear that users would default on debts. PayPal also joined the voluntary ban when it was acquired by eBay. However, U.S. users simply turned to other Internet payment services based outside the country. In October the U.S. passed a law officially barring financial institutions from processing illegal gambling transactions, reinforcing the voluntary ban. The law is expected to encourage more gambling sites to rely on Internet payment services based outside the U.S. to process transactions from U.S. players (see BusinessWeek.com, 10/19/06, “Online Gambling Goes Underground”). Differences in regulatory policies regarding Internet payments is one of the issues the FATF will explore in upcoming months while it investigates the measures that countries should adopt to better secure online payment systems. Once it develops recommendations, countries can choose whether to adopt them. However, those that do not – or do a poor job of adopting them – are subject to peer reviews and can be ousted from the organization for failing to adopt stringent anti-money-laundering policies. Once ousted, FATF member countries can take actions such as requiring that financial transactions originating from the ousted nation receive increased scrutiny that delays processing. Ousted nations or countries that are considered to be failing to meet recommendations also risk losing standing with the International Monetary Fund and the World Bank, among others. Among the security recommendations are imposing limits on the amounts that can be held in online accounts, thus limiting the potential for large amounts to be laundered, and implementing “suspicious activity” reporting practices. Major banking institutions and credit card companies in the U.S. have extensive suspicious activity guidelines, both to comply with U.S. laws and ensure their customers do not fall victim to identity theft. 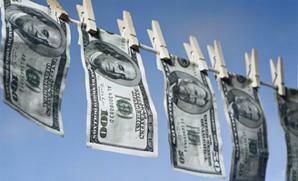 To date, e-purses and other new Internet payment services have not been the subject of money laundering investigations. The FATF hopes to prevent these systems from falling prey to the problems currently plaguing prepaid phone cards and digital precious metal traders such as e-gold. Between 2001 and 2004, both the U.S. and Germany had individual cases in which at least $445,000 was laundered via prepaid cards. In March, 2004, an Oklahoma resident confessed to defrauding thousands of investors of nearly $9 million through an online scheme. He laundered their money through e-gold Ltd. Since then, cybercriminals have continued to use the “digital currency” to wire money out of the country to places with less stringent banking regulations.